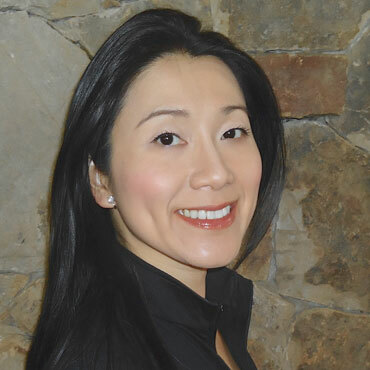 Dr. Hsu-Tang received her Ph.D. in Chinese art and archaeology from the University of Pennsylvania in 2004. She was a Mellon Fellow at the Needham Research Institute at Cambridge University in 2003 and served on the faculty at Brown University from 2004 to 2007. She was a research scholar in Classics at Stanford University from 2007 to 2008. Agnes studied Classical and Near Eastern Archaeology, English Literature, and East Asian Languages and Cultures at Bryn Mawr College and holds an M.A. in Asian and Middle Eastern Studies from the University of Pennsylvania. Trained as an art historian and archaeologist, Agnes Hsu-Tang is an international cultural heritage policy advisor. From 2006 to 2013, Agnes served on UNESCO World Heritage Centre’s scientific committees and participated on three missions to Uzbekistan, Turkmenistan, and Western China; she spoke at international conferences and authored a white paper on the multi-national nominations of the Qhapag Ñan and the Continental Silk Road (Chang’an to Tianshan Corridor), both of which received UNESCO designations in 2014. From 2013 to 2014, Agnes advised the United States Cultural Property Advisory Committee on the renewal of the bilateral agreement with China to reduce the illicit trafficking of cultural objects. Prior to graduate school, Agnes was the special assistant to James R. Lilley in Washington D.C., who had served previously as the US ambassador to China (1989-91) and Korea (1986-89). Dr. Hsu-Tang’s forthcoming publication is “A Tomb with A View: Axonometry and Concept of Domain in Early Chinese Cartography.” Her previous publications include “Structured Perceptions of Real and Imagined Landscapes in Early Imperial China” in Geography, Ethnography, and Perceptions of the World from Antiquity to the Renaissance (Oxford: Wiley-Blackwell, 2009), “An Emic Perspective of the Ancient Mapmaker’s Art” in Journal of the Royal Asiatic Society (Cambridge: Cambridge University Press, 2007), The Exceptional Universal Value of the Road Systems in Ancient Empires: A Comparative Study of the Chinese Oasis Route of the Early Silk Road and the Qhapag Ñan (Paris: UNESCO, 2006), and others. Her recent scholarly contributions include two exhibitions, “Chinese in America: Exclusion/Inclusion” at the New-York Historical Society (2014-15), and “China’s Lost Civilization: The Mystery of Sanxingdui” at the Bowers Museum (2014-15). She also contributed to the dramaturgy of a new opera, Paradise Interrupted, which premiered at the 2015 Spoleto USA and 2016 Lincoln Center Festival. Trained as a Classical musician, Dr. Hsu-Tang made her debut at the Kennedy Center for the Performing Arts in 1989. Since 2008, Dr. Hsu-Tang has worked with television networks to develop public programs on Chinese archaeology, history, and art. Agnes is the bi-lingual host and narrator of two award-winning documentary series, Mysteries of China on History Channel Asia (2011-2013) and Chineseness on Discovery Channel Asia (2014-2015); the latter premiered during the 2014 Art Basel Hong Kong at the Asia Society Hong Kong Center. Her previous TV credits include “The Giant Buddha at Leshan” (2009) and “Xi’an: China’s Forgotten City” (2010) on Discovery USA, “China’s Terracotta Warriors” on PBS (2011), and Mankind: The Story of All of Us series on History Channel (2012). Agnes will appear in a forthcoming international series on the Silk Road. Dr. Hsu-Tang serves on the Board of Overseers at the University of Pennsylvania’s Museum of Archaeology and Anthropology and on the Director’s Council at the Institute of the Study of the Ancient World at NYU. She also serves on the advisory boards at the Peabody Institute of Archaeology at Phillips Academy Andover and the Institute of International Education. Agnes chairs the Global Council on Arts and Culture at the Asia Society and its inaugural New York Asian Art Triennial in 2020. Agnes is a Trustee of the New-York Historical Society, where she chairs the Exhibitions Committee and serves on the Executive Committee. She received the Society’s Medal of Merit for Public Engagement in 2018. Agnes is also a Managing Director on the board of the Metropolitan Opera.